Aristocrat's gaming software offer some of the best and most exciting casino games to be found on anywhere - even in your local land based casino! Silversands Casino is offering all new players a grand welcome package of up to R8,888 with a variety of over 150 exciting games plus new deposit options, bank with SID and local bank accounts. 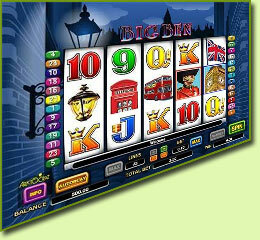 5 Reel, 25 Payline non-progressive video slot with a set Jackpot of $60 000. 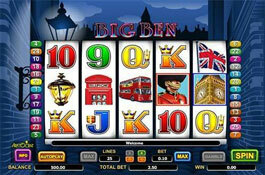 Features include Wild and Scatter symbols, Multiplier and Free Spins. Big Ben clock tower is known around the world as a great London landmark next to the houses of Parliament. Visit London by day or night with the colour change depending on the game mode. The wild symbol creates extra winning combinations by substituting for other symbols, it also Doubles any wins! When 2 or more Big Bens appear in scattered positions prizes will awarded. Receive 2x, 5x, 25x or 1 000x your bet when 2, 3, 4 or 5 Scatters appear respectively. 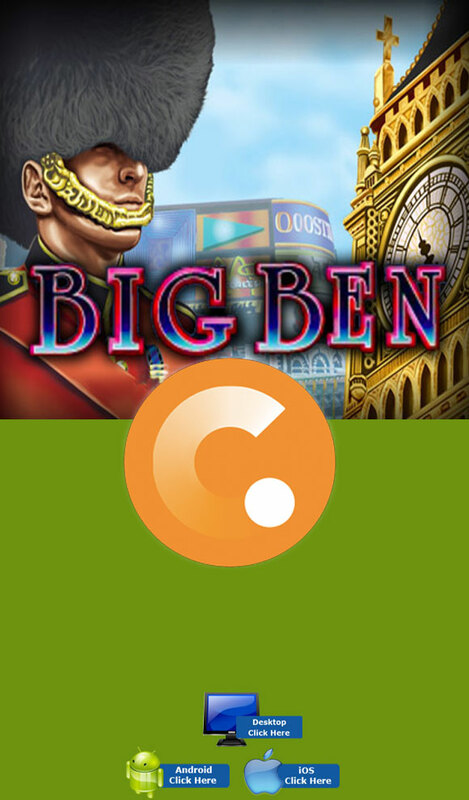 When Big Ben appears on the 1st and 5th reel a special Bonus round will start with Big Ben chiming from 1 to 12 times. The higher number of chimes pays a higher bonus amount. 12 chimes allows you to win up to 500x your stake. 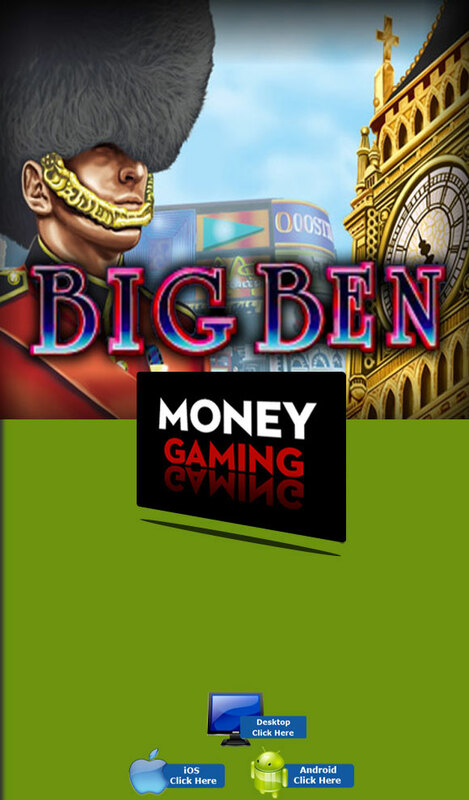 3, 4 or 5 Big Ben award 10, 15 or 20 Free Spins respectively. 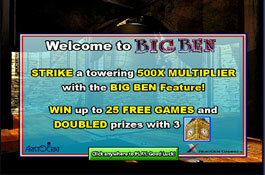 These free spins also carry a 2x multiplier for any wins. 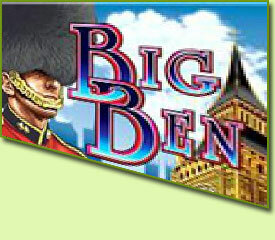 This enjoyable slot also offers play for free or for real money, Auto play from 5-500 spins and a gamble feature. 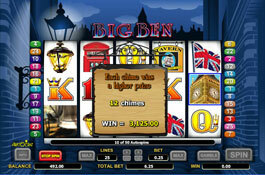 Players will be entertained with special features combining all of the basic elements of an online slot. Casino Games, Trade Marks, Branding And Logo's Remain The Property Of Their Rightful Owners.